Swe-Check: The Fuse Warehouse. View our Range Online. Trusted Supplier of Fuses, Fuse Holders and Circuit Breakers. Buy your fuses online with Swe-Check. 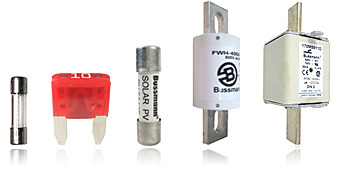 We stock a huge variety of fuses to suit all types of applications. We sell electronic fuses, hrc fuses, blade fuses, car fuses, ultra rapid fuses, semiconductor fuses, solar fuses, medium voltage fuses, surge protection devices, pv fuses and more. With thousands of products in stock, we are confident we have the right fuse for you! A circuit breaker has a switching mechanism that is activated when unsafe levels of current flows through the circuit. Unlike a fuse, a circuit breaker can be used multiple times. 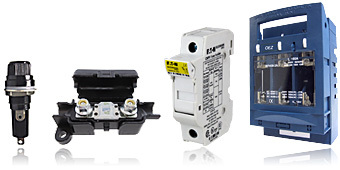 We stock circuit breakers designed for low voltage AC & DC applications including automotive bladed breakers, DIN rail mount circuit breakers, panel mount circuit breakers, and surface mount circuit breakers with manual or automatic reset. 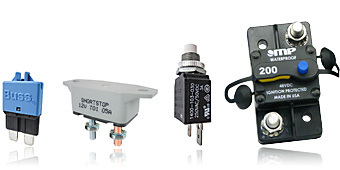 We stock a range of automotive relays for use in 12 or 24 Vdc circuits eg. cars, trucks, busses and boats. Options include normally open (SPST) and crossover (SPDT). Available in either standard or ISO 280 style terminals. 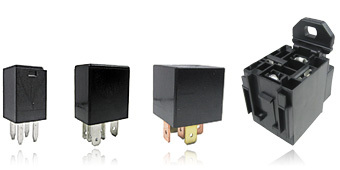 Our flasher relays are suitable for either standard or LED lights. 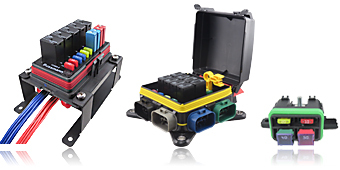 Power Distribution Units for cars, trucks, boats etc. 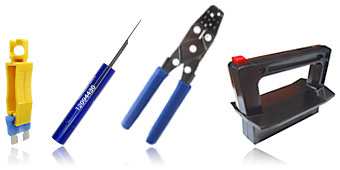 We sell an assortment of circuit protection accessories that suit our products including terminals, cable seals, crimping tools, fuse activated microswitches, fuse pullers, fuse testers and terminal tools.